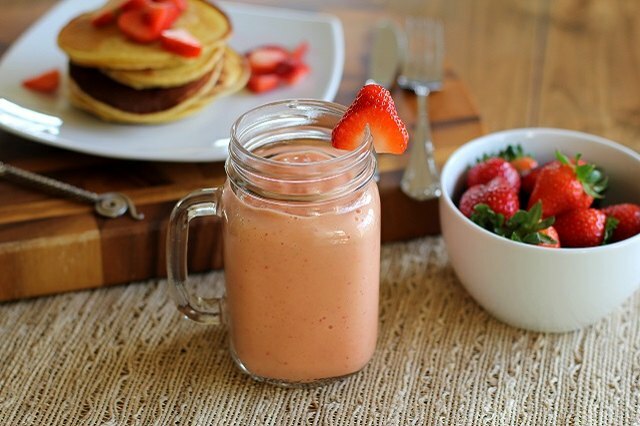 Enjoying a smoothie for breakfast or a snack can help you stay fueled in a healthy way. There are many ways to make a smoothie healthful, rather than laden with sugar. The key is to use fresh fruit (or fresh fruit that you have frozen), as well as unsweetened non-dairy milks. 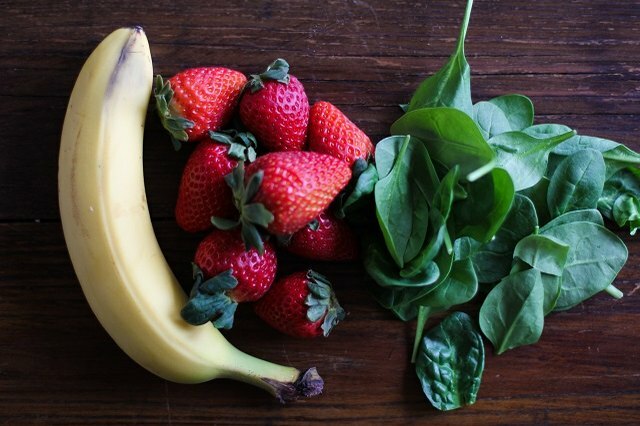 Adding a leafy green into the smoothie is always a smart way to get in some extra vitamins and minerals. 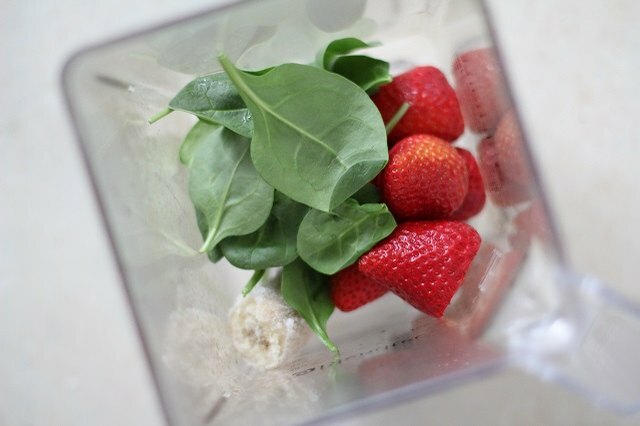 Keep in mind that the amount of spinach you add will change the color of your smoothie. See the difference between the smoothies in the first and final photos. The first smoothie has less spinach in it. Start by gathering your ingredients. Stick with fresh ripe fruits and vegetables. To keep the smoothie lower in sugar, avoid using fruit juice (even 100% fruit juice! ), and instead use unsweetened almond milk or canned coconut milk. If preparing a smoothie for a kid, be sure to include sweet fruits that are higher in natural sugar such as a ripe banana or mango. 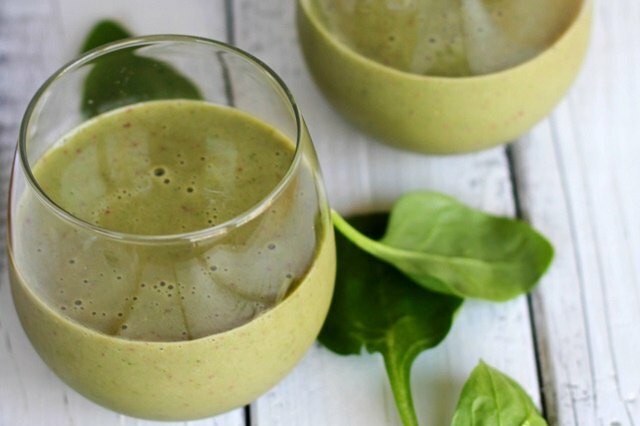 In addition, when adding leafy greens like spinach or kale to a smoothie for kids, serve the smoothie in an opaque cup (such as a sippy cup or a cup with a top and a straw) so that the color isn't off-putting to the child. Add everything to a blender and blend until completely smooth. For best results, pour the liquid in the blender first, followed by the solids — this helps the blender process the fruit. If making smoothies for more than one person, double or triple the recipe above. Ingredients that help keep a smoothie nutrient-packed include (but are not limited to) banana, mango, blueberries, strawberries, pineapple, spinach, kale, unsweetened almond milk, coconut milk, orange juice, protein powder, matcha powder, nut butter, spinach, and spirulina. This simple strawberry-banana smoothie results in a sweet and creamy treat that has the appeal of dessert yet is actually great for you, but feel free to mix and match your flavors in this recipe. Also, while store-bought frozen fruit can be used, it tends to taste less sweet, leaving you wanting in the flavor department.